Floyd Mayweather has his wish, Conor McGregor has his. The two stars from rival sports will fight their upcoming August 26 “Super Fight” with eight-ounce gloves. The Nevada State Athletic Commission (NSAC) today confirmed an exception has been granted and that eight-ounce gloves will be used, not the standard ten-ounce. Well, if Floyd was bluffing he’s possibly made a big mistake. Then again, will the smaller gloves really help McGregor? McGregor has to be able to catch Mayweather before he can inflict any damage. Still, the gloves issue does add an extra layer of intrigue to the big fight. Dana White of The UFC said that having eight-ounce gloves to fight with will be a huge advantage to McGregor. Also officially confirmed is the fact that Robert Byrd will be the referee for Mayweather-McGregor. 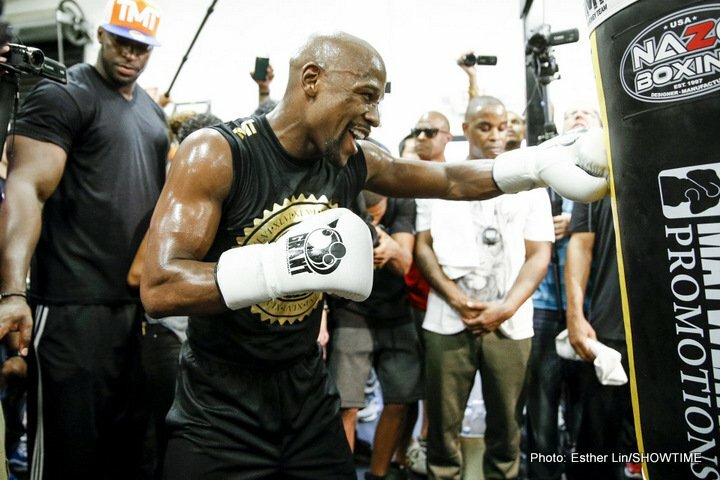 According to a piece on ESPN.com, neither Team Mayweather nor Team McGregor had any complaint when Byrd, who has previously called one Mayweather fight, was confirmed as the third man in the ring. The three scoring judges have also been announced, with Burt Clements, Dave Moretti and Guido Cavalleri confirmed. With everything now set and in place, all that is left now is for the two fighters to get down to business. Will the most heavily hyped and talked about fight of the year deliver, or will we see something most will want to forget in Las Vegas a week on Saturday? Hopefully we will see a good, exciting value for money fight.